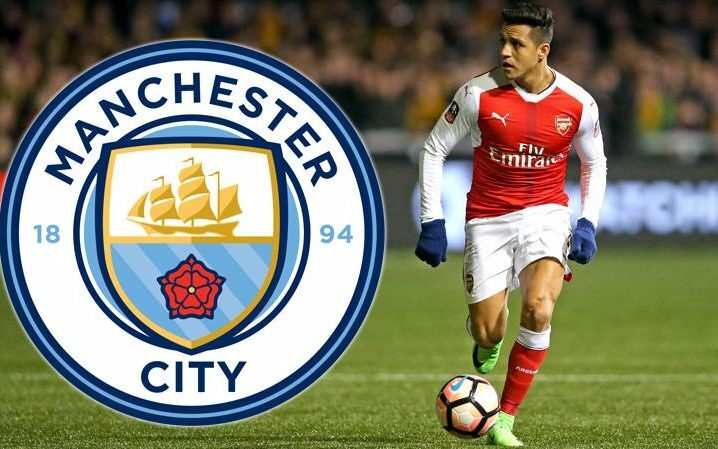 Arsenal attacker Alexis Sanchez remains the top priority for Manchester City boss Pep Guardiola ahead of this summer’s transfer window. The Chile international enjoyed a stupendous season with the north London giants as he single-handedly kept them in a respectable position in the league. The Gunners finished fifth overall in the English top flight, and they have since been in negotiations with Sanchez over a new contract. The former Barcelona man has just a year left on his previous deal and he is seemingly reluctant to extend his terms further owing to the lack of Champions League football – something which is a rarity under Arsene Wenger. Sanchez suggested last week that his representative Fernando Felicevich would take care of his future as he aims to earn further glory with Chile, who will be facing the world’s best in the Confederations Cup held in Russia this month. Arsenal have paid the price of selling key players to rival clubs over the years, and they could face the prospect of losing yet another with Manchester City said to be planning an official approach for the winger. Bayern Munich are the other club in the running for the 28-year-old, and it could all come to which team is willing to pay up a higher weekly wage. Sanchez bagged his best ever figures of 30 goals and 15 assists last term, and he is in the peak of his powers as he heads into another season in professional football. Sanchez has participated in an international event in each of the last three summers, and his involvement in the Confederations Cup will mostly see him miss the opening stages of the new campaign, whomever he pledges his allegiance to during the summer. City will be the favourites to sign the 28-year-old.